From May to October, you have the chance to accompany your host once a week to some of the most beautiful places in the Passeier Valley! If there is a particular route you are interested in, please let us know. 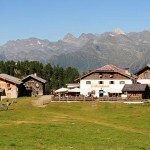 We highly recommend the hiking tour to the Pircher Hausalm, which is owned by the Pircher family and is situated above the Gompm Alm (Hirzer region). With every hiking trip comes a free lunch of original Passeier speck, cheese and some good wine. Ideal for everyone who loves a comfortable hiking trip. Duration: about 3 hours (return journey). Participation for hotel guests free of charge! The Passer river comes from the mountains and runs along the length of the Passeier Valley. 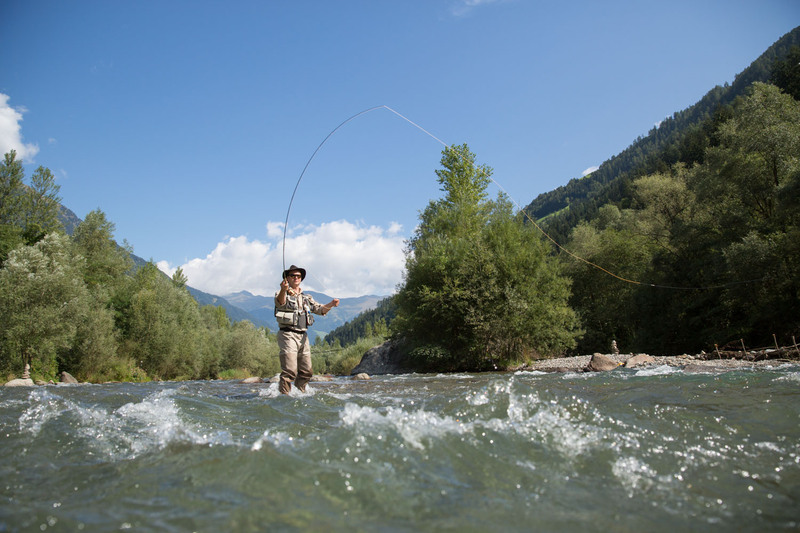 The Catch & Release routes, the regular fly-fishing route, as well as the private route at the Fly-fishing Club Passeier are only a two minutes’ walk from the Riederhof apartments. Beside char, rainbow and brook trout, you will also come across the Marmorata trout. Lukas, our junior chef, is an experienced fly fisher. He takes care of all licences and tickets you might need for a great day out.